Gloves are a great accessory and should actually be considered a necessity for motorcycle riders. If you consider the number of tasks we complete each day using our hands and fingers, I think it’s safe to safe they deserve to be protected, especially if you plan to continue using them. In fact, I’d put gloves right up there next to helmets and boots when it comes to the protection priority list and fingerless leather gloves are no exception. We all know about the classic riding gloves like the typical dirt bike glove or the street bike style racing glove, so I thought I’d catch you up to speed on a type of glove that’s a bit more unique – the fingerless leather glove. These are a great choice for motorcycle riders who are looking for a sturdy and protective pair of gloves to wear out on the open road, protecting you from the elements while simultaneously allowing for precise accuracy while performing intricate actions with your fingers. If you’re not too interested in buying these for riding purposes, there's a number of other practical uses as you'll see below. Fingerless gloves are not lacking in important features such as padding and comfort. Leather gloves are strong and offer good endurance against harsh conditions such as gravel and road rash. Fingerless leather gloves fashion became a popular fashion trend in the 1980s and without trying to sound too anti-climactic, fingerless leather gloves are exactly like they sound. They are made from leather material, most commonly real leather which offers better strength and protection than faux leather and other leather variants. Fingerless gloves look like regular gloves but have openings from around the middle of the finger and top of the thumb to leave the top of the wearer’s fingers and thumbs open. Fingerless loves look great - combine these with a shaved head, to take the shortcut to looking straight out of a biker movie. But, motorcyclists prefer fingerless gloves for several practical reasons, most of which you’ll relate to instantly. First, let’s talk about the obvious. Fingerless gloves allow you to feel the controls on your handlebars and use them without hitting the wrong controls. It’s frustrating to try and handle buttons and levers with clumsy gloves that just don’t go where you want them to. They're also great for scratching. We’re all human and things itch, even when you’re a biker. With these babies on, it’s easy to scratch anywhere without endangering yourself while on the road. Similarly, it’s much easier to do things like send a text message without removing your gloves or taking out a card for payments at the gas station. It’s also much easier to take out keys and strap your helmet on. Fingerless leather gloves make it easier to hold the handlebars without having the fabric pull at the space between your forefinger and thumb. Full-fingered gloves can make it very difficult to find the perfect pair of gloves for people with longer or shorter grabbers than the average Joe – which is most of us! 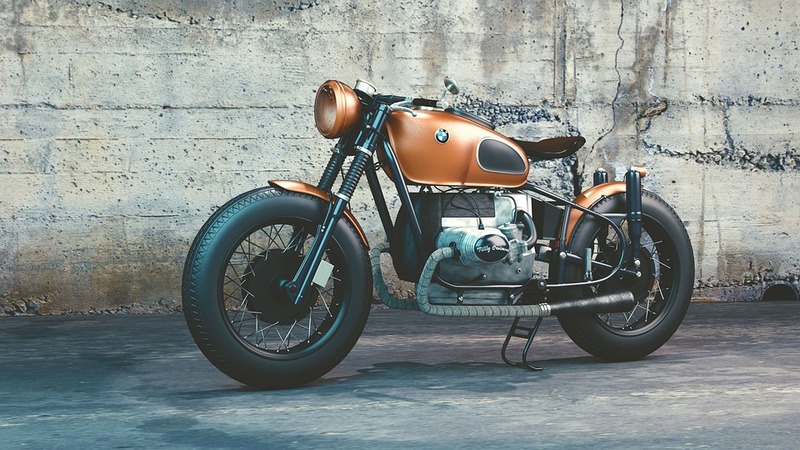 There are different types of leather to consider when choosing a material for your motorcycle gloves. Leather is an age-old and reliable material that can endure a rough ride. Deerskin is thought to be cooler in summer with better abrasion resistance. Cowhide and goat skin are tougher with enough give to provide flexibility, while it’s best to stay away from cheaper leather materials such as pigskin. The gloves need to fit properly around the knuckles and provide enough stretch to be comfortable yet tight enough to fit snugly. A good glove will have reinforced palms to protect from blisters and scuffs, as well as ventilation in the form of perforated leather to evaporate sweat and moisture. A good feature to have is reflective material on the backs of hands for safer riding in the dark. As with any product, the gloves should be well constructed with firm stitching to increase durability. Remember not to wear jewellery on the fingers or wrists under the gloves. 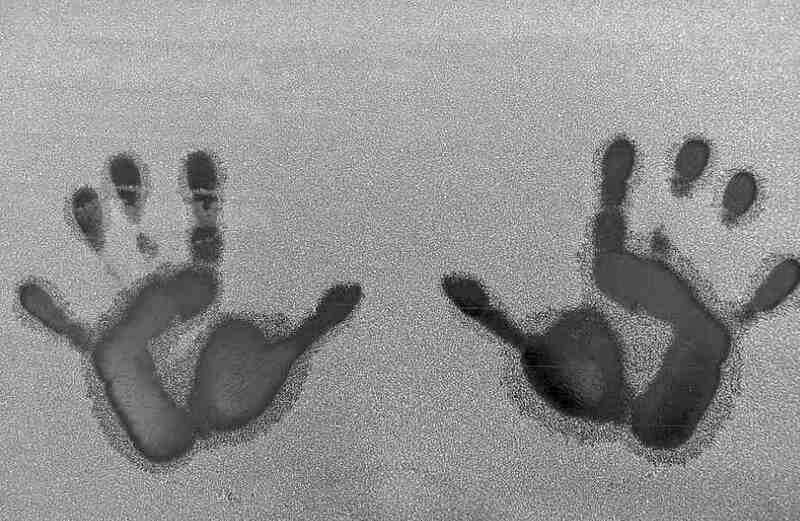 They can easily get caught and cause damage, not to mention the heat transference problem that they could pose. Jewellery can even cut off the flow of blood in an accident and it’s simply not worth the risk. Fingerless motorcycle gloves are not lacking in important features such as padding and comfort. Fingerless leather gloves are strong and offer good endurance against harsh conditions such as gravel and road rash. Most often when someone falls, you either land on your knuckles or the palm part of the hand strikes the road while fingers usually flex reactively to protect them from grinding against the gravel. A good pair of gloves will have a hard a hard plastic protective layer over the knuckle's which is crucial if you had to go down. You also want to look for extra padding on the palm area of the hand, not only in case you go sliding, but for creating a cushion on the stress points where your hand rests on the bars. Although safety concerns for fingerless laether gloves that don’t protect fingertips are a constant point of conversation, there are pros and cons to both full-fingered and fingerless gloves. 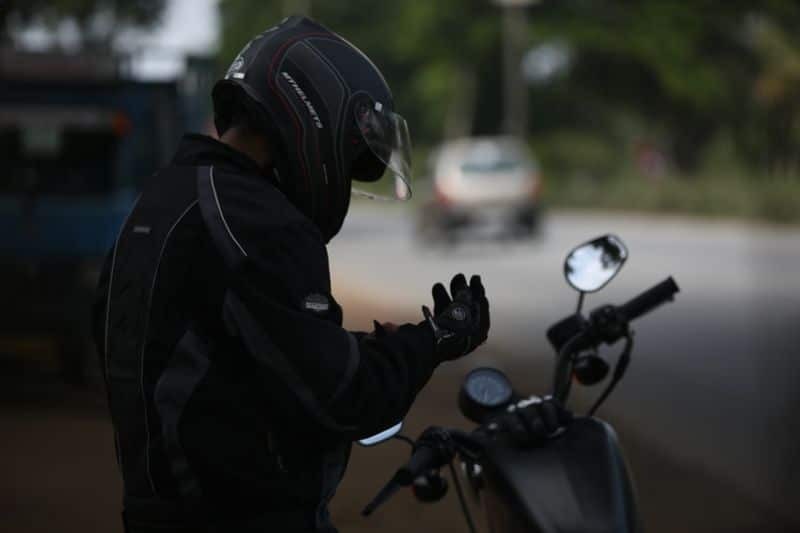 It is up to riders to weigh up the dangers of fingerless gloves. 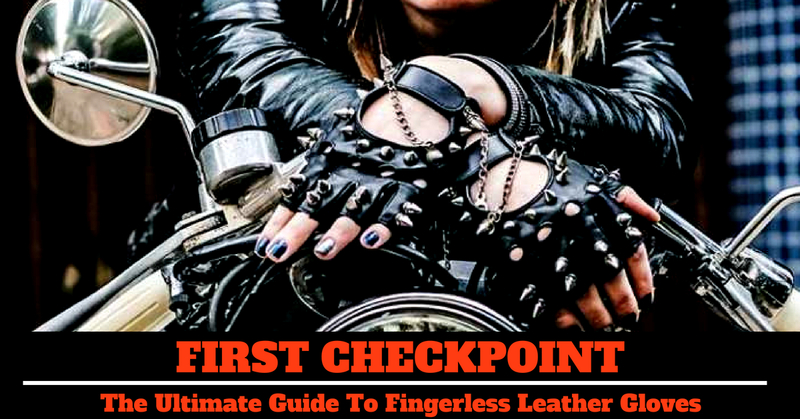 Leather fingerless gloves are great for motorcycle riders but if safety’s a concern, there are many other uses for these gloves that are equally exciting. Firstly, they offer a nice alternative to bulky gloves and mittens that make it really hard to perform simple tasks such as taking out your wallet, fishing around in your bag for keys and even doing things like taking a drink. Gloves that partially cover the fingers offer better dexterity while keeping the largest part of your hand warm. Secondly, leather gloves can be used for weightlifting and prove to be effective in guarding against calluses and blisters. The part of the hand that comes in contact with bars and heavy weights is protected and free from possible rashes and abrasions that could become infected. Another great use for fingerless gloves is sports such as hunting and archery. The use of the fingertips is essential for achieving the accuracy and skill required by these sports. Leather fingerless gloves are strong and provide good insulation from things like bowstrings that can inflict painful damage. Fingerless gloves are actually great for all types of driving – winter driving can get dangerous and although you need your fingertips for maximum control, these gloves can keep your hands warm until the car’s heater kicks in. And last – but certainly not least – fingerless gloves are great for fashion! 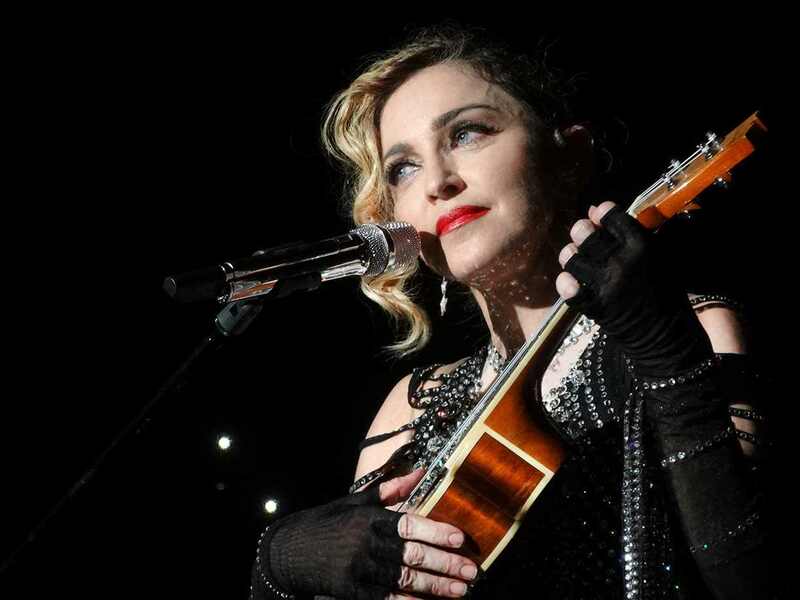 A nice glove can round out any outfit, whether you’re looking the part in matching motorcycle boots or opting for a stylish outfit – if Madonna can do it, so can we! Gloves with mixed materials offer nice features to give you a better grip while riding. It’s incredibly frustrating and quite dangerous to ride with gloves, fingerless or full-fingered, that simply don’t offer the grip you need to have a firm grasp on the handlebars in any weather conditions. 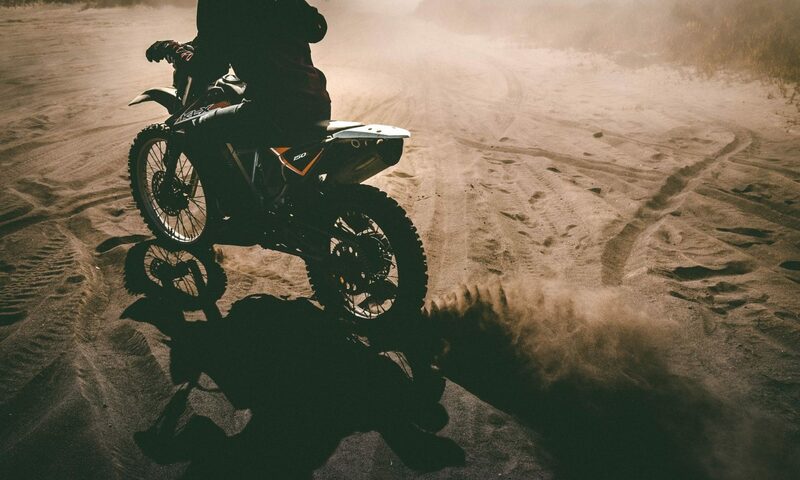 Grip is an important factor in safety while riding so don’t skimp on quality – you won’t regret the investment. Synthetic leather gives these gloves better grip for those times when sweat, rain and other elements could make it difficult to hold on to your ride. The palms feature anti-skid gridding without limiting your digits dexterity. TitanOPS have created a beautifully designed, premium quality multi-purpose glove. TitanOPS designed these gloves to be used for just about anything ranging for weightlifting to riding bikes, and while we might say motorcycle gloves certainly require additional features than simple weight lifting gloves, the TitanOPS leather half gloves certainly don't fall short when it comes to the protection riders need. They feature a rugged build with hard knuckle protecting shields and reinforced palm padding. The palm is constructed with synthetic leather featuring anti skid gridding which really makes holding onto the bars much easier. My favorite aspect to the gloves must be the double Velcro strapping that really lets you adjust the glove for maximum comfort. We’ll say it again, just for good measure: ventilation, ventilation, ventilation. Sweaty hands are the worst. If your body tends to produce sweat right at the inopportune moments when you need to grip the motorcycle handlebars extra tightly, get a pair like this that’s lightweight and lined with silky cotton material. Besides ventilation, these gloves are made to absorb impact with reinforced palm and knuckle stitching for extra protection. The material is supple and flexible with a pre-curved design, meaning it gives easily for better grip without compromising on safety and durability while riding. 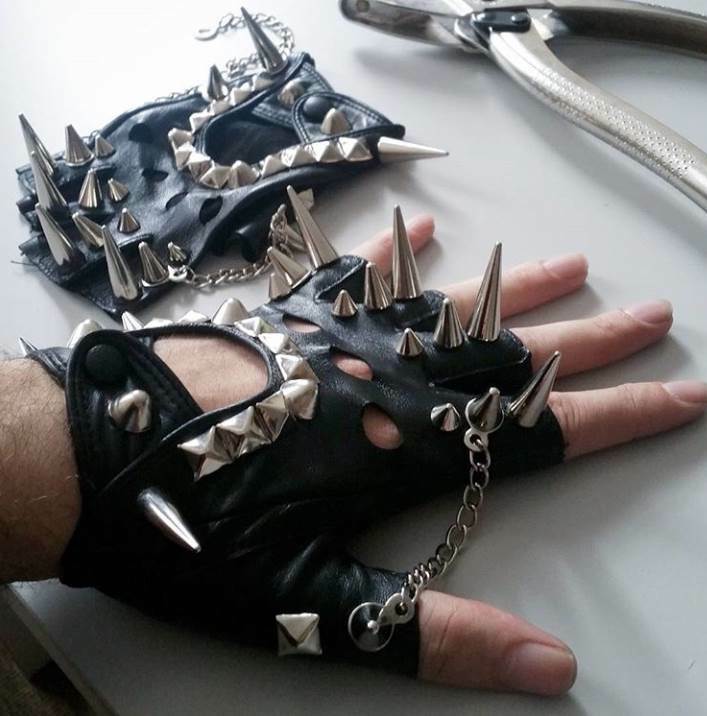 While some may see these as a pair of mens leather fingerless gloves, whose to say they could not be a pair of womens fingerless leather gloves? Nothing says sturdy quite like the word ‘tactical’. These gloves are made to last and the best part is you can wear them straight off the bike to other activities such as hunting, shooting and various sport sorts. Multi-purpose gloves like these are a great choice for practicality and purpose all in one. These tactical fingerless gloves offer great impact resistance – you can never have enough of that while riding. A nylon loop on the bottom makes it easy to attach these to a backpack when not riding. The leather material is no-melt for better protection. If you're after a classic black fingerless leather glove, look no further. 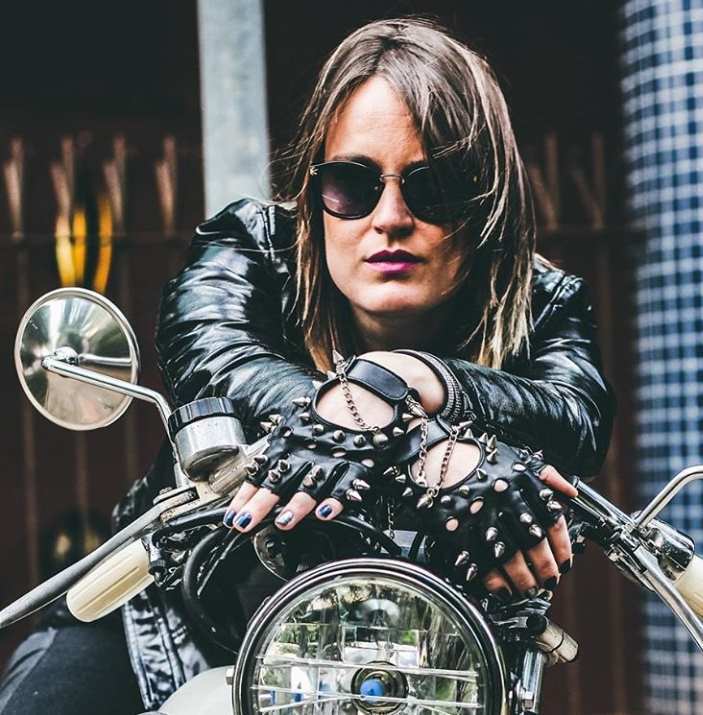 Shaf International have the ultimate badass accessory for any biker – get a pair and join the club. 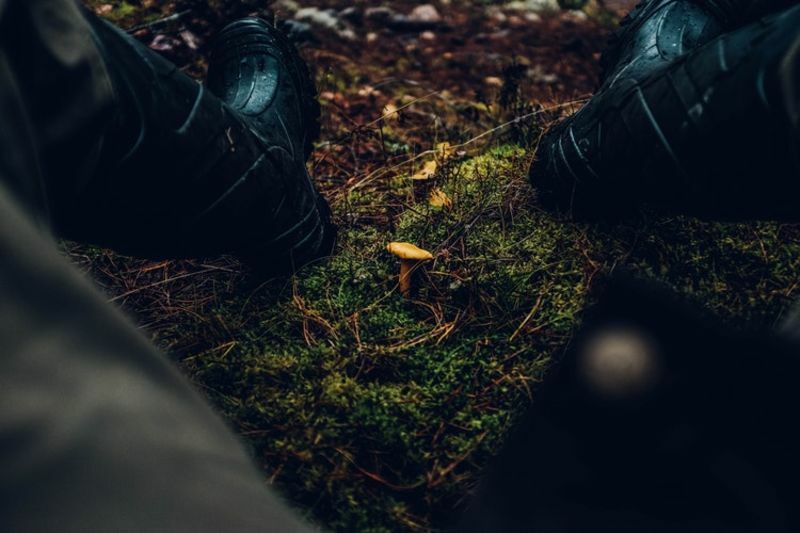 They look great with a good pair of leather boots and are both comfortable and functional. I have a pair myself and they never cease to be practical for hot summer days. These are simply a great pair of black leather fingerless gloves which feature gel padding in the palm area of gloves offers better extra comfort on the long rides while still allowing you to grip the bars with ease, not to mention the extra bit protection you get in case of an accident. Buying a pair of gloves made with good quality leather means that they will last longer so you’ll be able to enjoy them for years to come and Deerskin is a great choice that provides good breathing for long rides under a hot sun. There’s not much more we can say to convince you. Leather half gloves are a reliable form of protective gear with good ventilation and great usability, especially when doing things that are generally difficult when wearing unwieldy and awkward full-fingered gloves. Our favorite product is the Freetoo tactical motorcycle fingerless gloves. Think comfort in the form of heavy duty gloves that fit well and offer resilient grip. The gloves have reinforced stitching and a functional vent design for good air flow. Strong knuckle protection and anti-skid palm gridding are included at a great price. Honestly, we’re not sure what else one could expect from a reasonably priced glove like this one. If you’re looking for an alternative to full-fingered motorcycle gloves that make riding around in summer nearly impossible, this is a good option. If you aren’t – well, we’re sure the gloves will be of use in another area such as gardening, sports, driving your car or even lifting weights. At the very least, you will look amazingly trendy. Just give in already; we're all doing it. Mittens and gloves are old news. 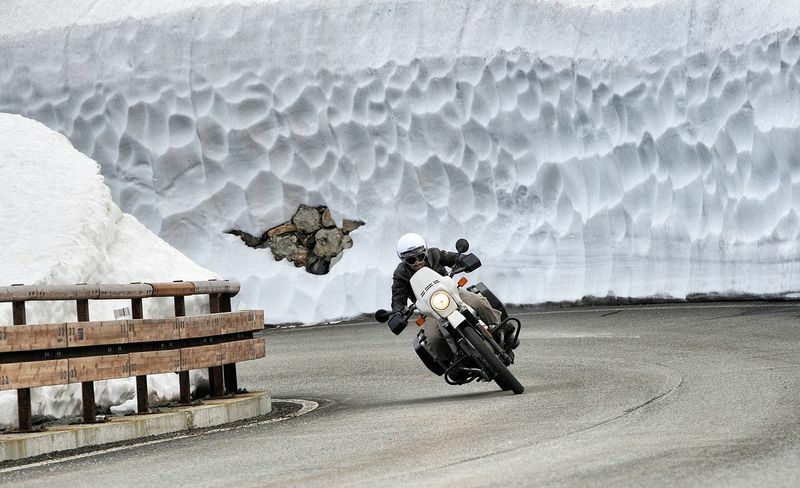 What you need to keep your hands warm while riding your bike in the winter is a pair of heated motorcycle gloves.